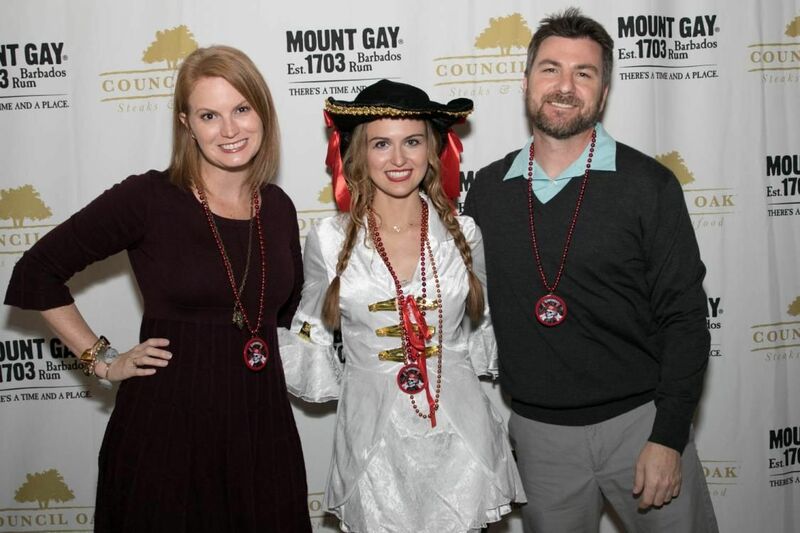 When most people in Tampa hear the word Gasparilla, they think Pirates, Beads, Parades and Races. The first thing that comes to my mind is delicious food at Seminole Hard Rock Tampa. For the second year, I have had the wonderful opportunity to kick off Gasparilla at Council Oak located inside of the Hard Rock. Seminole Hard Rock Tampa wass the sponsor of the Gasparilla Day Parade which happened last week. The Thursday prior to the parade, we had a feast that would bring any pirate to their knees. We were running a little late to Cocktail hour and barely made it in time to get these delicious bites. I missed the shrimp but the cinnamon molasses glazed pork cheeks were incredible. The first drink served was the Fountain of Youth with Mount Gay Eclipse Silver which was my favorite of the evening. Friends - I will go down saying, this was my favorite lobster dish I have ever had. If you know me personally, you're aware of how serious of a statement that is coming from me (I LOVE Lobster). The lobster was 8oz and perfectly poached in a rum vanilla sauce. I am trying to bribe Chef Michael to give me the recipe. Fun fact - my husband proposed to me after cooking me dinner for the first time....that dinner was poached lobster. I had high standards for this dish and it blew me and everyone else at the table away. 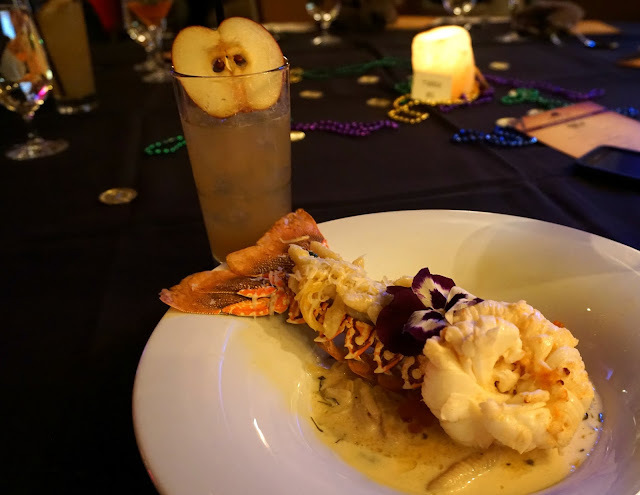 An 8oz lobster to start your 4 course meal meant for a very full night. I couldn't leave any on the plate. The cocktail served with this dish was a Black Pearl made with Mount Gay Black Barrel. It was their take on a rum punch! Have you ever tried Squab? This was my first experience. Squab is a 4 week old pigeon. I will honestly say if I knew what Squab was before trying it, I would have never tried it. Squab tastes a lot like chicken. It's served more on the medium/pink side than you would find most poultry. 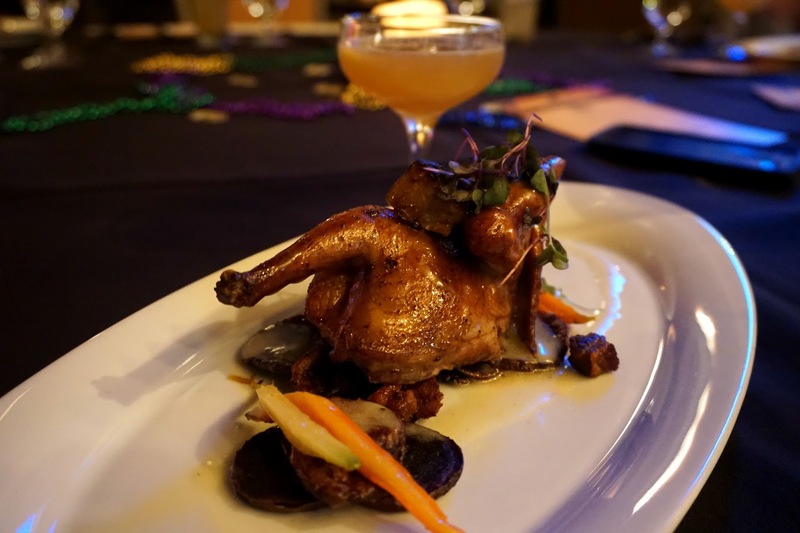 The Squab was topped with a piece of Foie Gras and over purple potatoes with a truffle butter sauce. The overall flavor of this dish was great and the truffle butter sauce was to die for. Since I ate the entire lobster dish and knew what was coming next, I only had a few bites of course two. The Side Car served with course 2 was Gabe's favorite of the night and he has tried to remake it at home with the bottle of Mount Gay XO we received at the end of this meal! This dish is everything a meat lover could dream about. 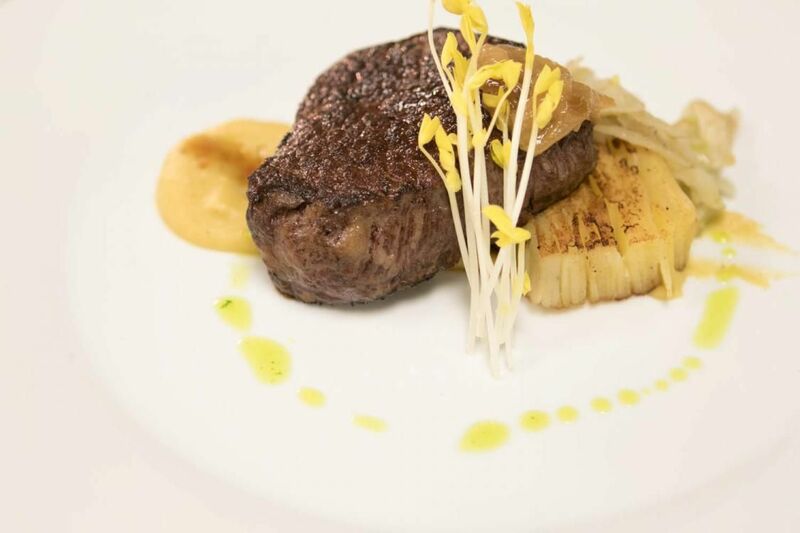 The Wagyu was seared to perfection and served over a potato pave and sweet plantain brule. Authentic Wagyu is rare to find and when you do, it's not cheap. This dish was devoured in seconds and I selfishly ask Council Oak to have it on the menu at all times. Please and thank you. The drink served with course 3 was a shot of Mount Gay 1703. 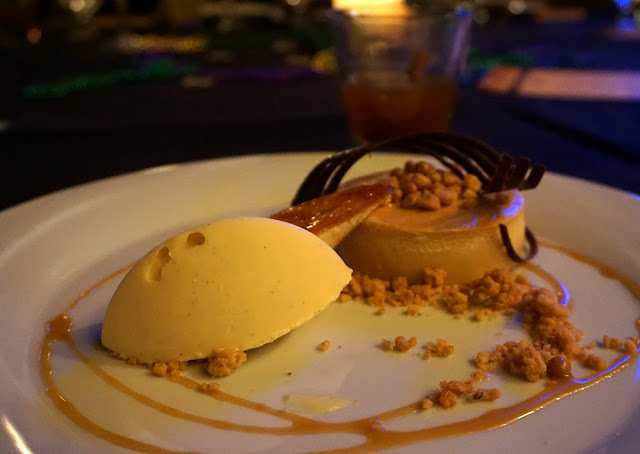 I have been to quite a few pairing dinners at Council Oak and can state without hesitation that this dessert has been my favorite to date. Although I was so full I could barely look at this beautiful dish, I still ate most of it. The combination of the brown butter gelato, crystallized macadamia nuts and banana rum cheesecake - mean, come on. It was the perfect salty sweet combination. The dessert was served with Hot Buttered Rum and I stole my husbands glass. SO GOOD. The February Dinner at Council Oak may be the best ever. Obviously I am a huge fan of wine. My favorite all-time wine is Cakebread. It is my special occasion wine of choice. 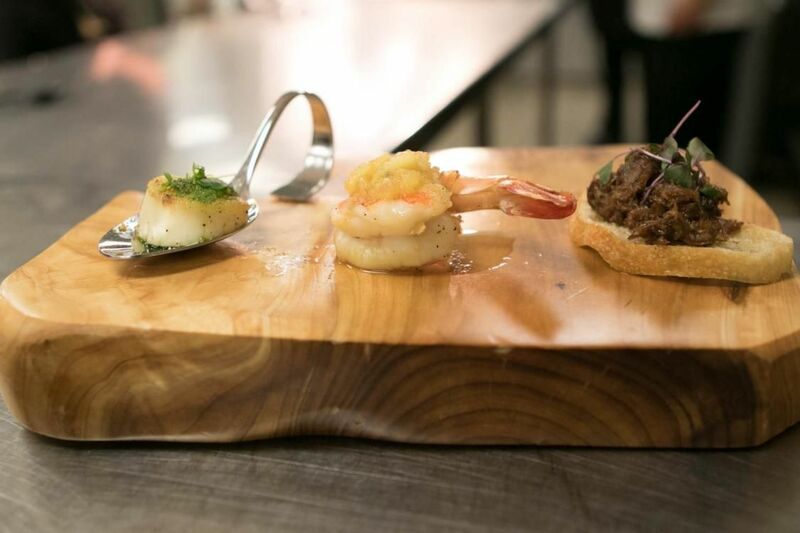 At the end of the Hard Rock Gasparilla dinner, they announced Council Oak's first wine dinner will be in February. Of course I started listening intently. Then they said those magic words - Cakebread Cellars. I almost fell out of my chair. In fact, I screamed. Be sure to stay tuned for more details! Council Oak Lounge in Seminole Hard Rock Hotel & Casino Tampa will host a Cakebread Cellars wine pairing dinner on Thursday, February 18. The event begins at 6:30 p.m. with a Cakebread Cellars wine-themed cocktail reception, followed by an innovative four-course meal at 7 p.m. featuring the following Cakebread Cellars wines – Sauvignon Blanc, Chardonnay Reserve, Pinot Noir Two Creeks Vineyard, Benchland Select Cabernet Sauvignon and Napa Valley Merlot. There will also be a special performance by singer/musician Justin Rhodes. Tickets (at $155 per person) are available for sale by calling (813-627-6630). Space is limited.